The Lucas armour series has been specially designed for young heroes-in-training who want to test their mettle. The Steel Lucas Youth Bracers are made with some flexibility so that they can adjust slightly along with growing kids. 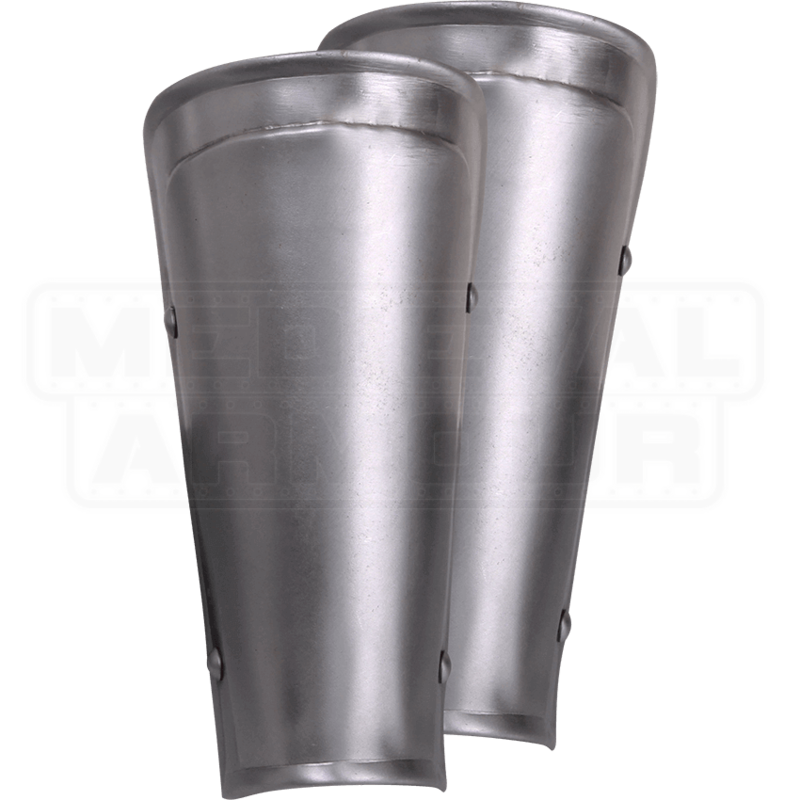 Showing off a bright metal finish, these steel bracers are inspired by the adult Steel Adam Bracers (MY100001), though they have been cut smaller. The kids bracers fasten securely with the help of two buckled straps on the back. The metal can be carefully bent a little to help fit the wearers arms. We recommend wearing padded arming wear underneath for increased comfort. 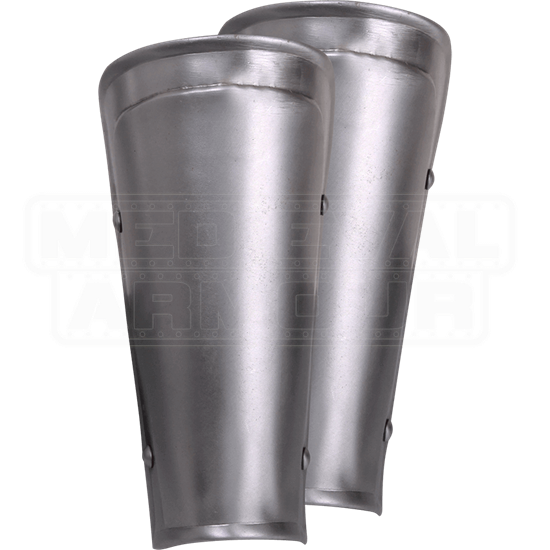 The youth arm armour works great for LARPing and re-enactments.